Bodybuilders and Powerlifters have not historically gotten along very well. Although the relationship strain seems to be mostly limited to internet forums, it’s interesting nonetheless. The thing is we can learn a lot from each other just by looking. I like to think of myself as observant of trends in iron sports. Training in general is fascinating to me, so it’s always enjoyable for me to watch how things develop and evolve over time. Whether it be the way Olympic lifting ebbs and flows in and out of favor for training athletes, or the way that foam rolling first gained popularity and is now becoming almost cliché, it’s interesting to watch. One trend I’ve noticed lately is that bodybuilders are beginning to train more like powerlifters and are showing good results because of it. Additionally, powerlifters are beginning to have a more balanced approach (similar to bodybuilders), and also seem to be benefitting from it. This simply highlights the fact that we can learn from one another. I have learned a thing or two about mass development in my training and coaching experience. 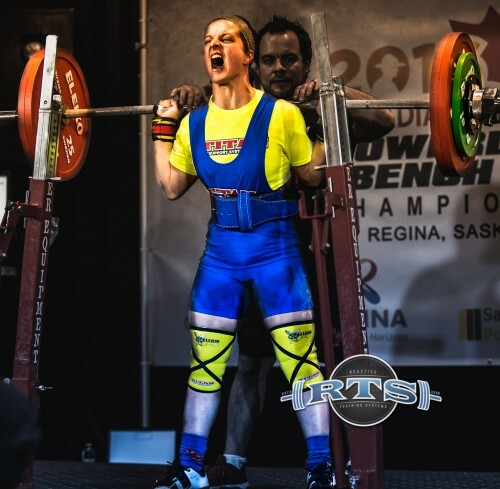 Successfully filling a weight class with meaningful mass is important for preparing a competitive strength athlete. Adding mass just so happens to be a core competency for bodybuilders as well. There are many lessons learned that are built in to the RTS system of training. So, if you think it’s just a system for Powerlifters, you’d better think again. The systems of volume control, RPE’s, and intensity measurement can be highly beneficial to a bodybuilder. Here’s some ways to use these tools to your advantage. RPE stands for Rate of Perceived Exertion. It is a subjective measurement of how hard a set feels. Remember what I was saying about trends earlier? Well, here’s one that I’ll impart to you in advance. 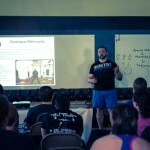 If you don’t currently use RPE’s in your training, you’d better start. It’s a growing trend to use this powerful tool and if you’re one of the last to move on it, you may be too far behind to catch up. Back to the crux of the matter… RPE is your subjective scale of 1 to 10 of how hard the set feels. I like to use is as a gauge of how many reps are “left in the tank”. A “10” means no reps in the tank, a “9” means about 1 rep left, and so on. If you would like to read more about the mechanics of how to use RPE’s, I would like to direct you to my other writings where I cover it in detail. Why does this matter to a bodybuilder? At the most basic level, RPE’s will allow you to make judgments on how hard you should be training, how hard you are training, as well as numerous other advantages to be covered later. It will also allow you to communicate with other lifters in a more specific language. It gives a much more complete picture than “hard” or “easy”. It may seem like a simple thing to know how hard you’re training versus how you’re supposed to train, but if that were the case there wouldn’t be as much overreaching/overtraining going on. RPE’s enable another core function of RTS and that is the various methods of volume management. Again, without going into extensive detail about how Fatigue Percents work, I will say that it in general, bodybuilders will want to induce greater fatigue in each session on a fewer number of body parts. The exact level of the Fatigue Percent adjustment will depend on multiple different factors, so rather than try to war-game it all out, start with the recommended 5% per exercise and gradually increase until you reach the limit of your ability to recover. Once this happens, you’ll be in a fantastic position to apply the lessons of training stress management to really super-charge your training program. This will allow you to train to the specific volume requirements of your body. This means on days when your body can take more volume, it will automatically be upregulated for you. The opposite is also true if you are too fatigued to reach your normal workloads. I do not advocate bodybuilders to train like powerlifters in every sense of the word. That would be silly. So in the realm of reps and intensity, RTS needs a wider spectrum of available protocols than it does for Powerlifters only. In RTS, the intensity is governed by the number of reps and the RPE that you’re training with. Bodybuilders will need to do the same thing that powerlifters need to do; find the specific training effect from each intensity range and program your training according to your body’s needs. It’s difficult to explain more detail without getting into lots of physiology, but in simpler terms, you can think of it like this. Look at the current trend in bodybuilding to train more like Powerlifters. Why does this seem to be working so well? Could it be that bodybuilding training was (mostly) devoid of near-maximal effort training for a long time and now bodybuilders are primed to respond to such training? Though it’s a simplification, it does follow with reality fairly well. The point of this is to impart on you the importance of change in your training program. At first, I advocate widely varied and almost random protocol selection, but as you learn more about the specific effects of each protocol, you will be better able to plan training cycles with purpose and direction. So what kinds of sets and reps should Bodybuilders do in the RTS program? Any number of reps you feel would be beneficial to your development! I do recommend that most of your training time be spent between five and twelve reps, but going beyond that range should be somewhat common as well. The important thing is that you don’t get stuck on percentages. Decide the number of reps you need to do and the RPE you need to achieve. The weight you put on the bar will be dictated by these two things. And if you do it right, you will have the perfect training load for your daily condition. No more guessing as to whether a weight will be the proper training load. Just listen to your body – and RPE’s are like a megaphone for your body to communicate with you. I have covered many ways that the RTS tools can be used for effective bodybuilding training. If you need more information on how to manage and employ the fundamental RTS tools, please see my Reactive Training Manual. This explains in detail how to make sure your training is customized to fit your individual training needs. 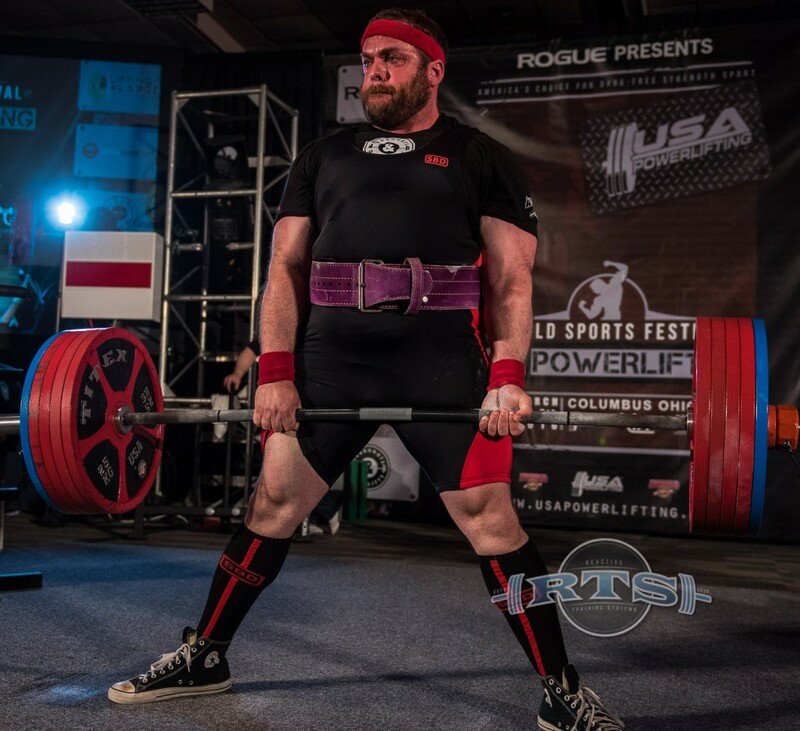 Though this article tends to focus on what Bodybuilders can learn from Powerlifting (and specifically RTS), it is important to note that this is not the only way information flows. I have learned and continue to learn about training from bodybuilders. I think the greater our understanding of one another’s methods, the better off our training will be in general. Thank you for reading!